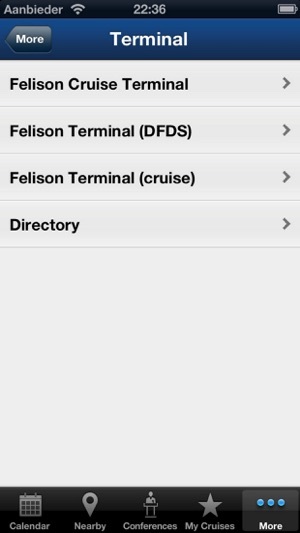 The official Felison Terminal App with all cruise, terminal and conference information you need. 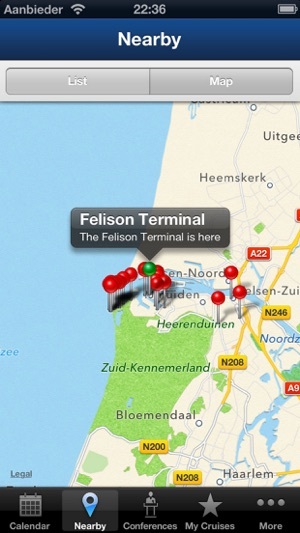 With this application you can view the information on all cruises that will arrive at or depart from the Felison Terminal and Felison Cruise Terminal in IJmuiden, The Netherlands. 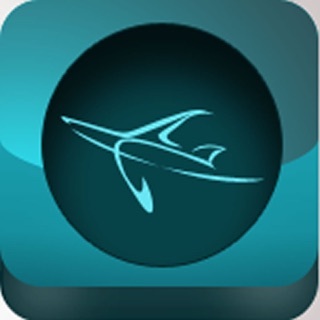 You can also receive (push) notifications on changes in the cruises you’ve selected. Use the cruise calendar to view arrival and departure information on all cruise vessels that will visit IJmuiden. 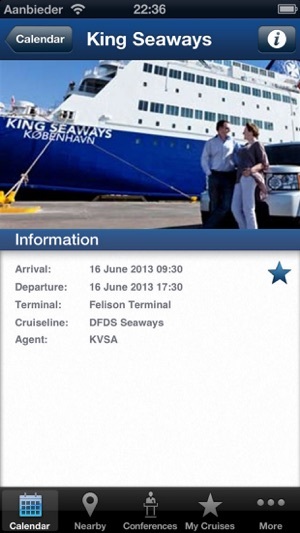 Add voyages to the ‘My Cruises’ section to stay informed about changes in arrival and departure times. 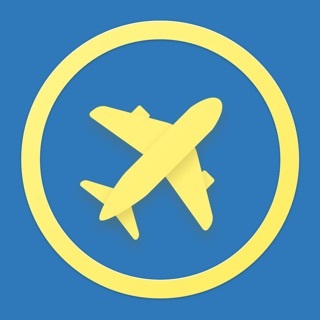 Use the ‘nearby’ functionality to see which landmarks, restaurants, bars, shops and other places of interest are nearest you. If you’re attending a conference in the Felison Terminal conference center you can view information about your conference, the speakers, the program and presentations in the conferences tab of the application. 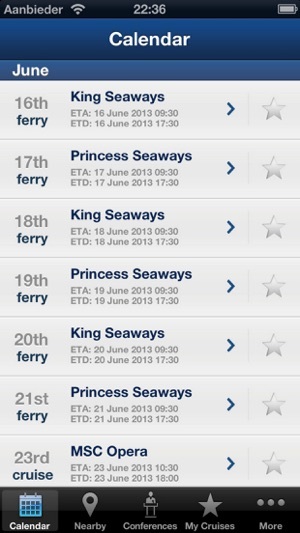 Your favorite voyages are shown on the my cruises tab. Keep track of arrival and departure times, extended information on the vessels. Detailed information about all the facilities our terminals have to offer to our cruise passengers and conference attendees. Koninklijke Verenigde Scheepsagenturen van Halverhout & Zwart en Zurmuhlen B.V.